Agriculture is an important piece of our past and a critical part of our future. According to the Kansas Department of Agriculture, there are more than 60,000 farms in Kansas which generate more than $18.5 billion in Agriculture output. On average, Kansas is the largest wheat producing state, producing 333,600,000 bushels of wheat in 2017. Nearly one-fifth of all wheat grown in the United States is grown in Kansas. Additionally, one 60-pound bushel of wheat provides about 42 pounds of white flour, enough for about 70, one pound loaves of white bread. 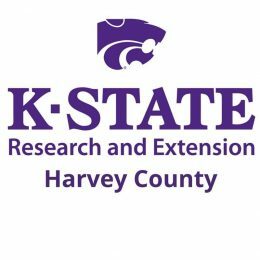 The Kansas State Fair wants to encourage students to learn more about Kansas agriculture. Farmers feed and clothe the world. Farmers today are raising more food with fewer resources. It is estimated that by 2050, we’ll need to feed two billion more people. Understanding how and where your food comes from is important. The Fair wants to help students connect with the people who grow their food. There are 12 agriculture adventure stops listed at this link https://www.kansasstatefair.com/p.aspx?pID=fair/education/669& . You choose 6 of these stops to visit between May 1 and August 15, 2018. You can mail, email or bring your completed adventure sheet to the Kansas State Fair. All adventure sheets turned in by August 15 will receive a KSF Agriculture Fun Pack. Your name will also be put into a drawing for a free Kids Club ticket package to attend the 2018 Kansas State Fair.